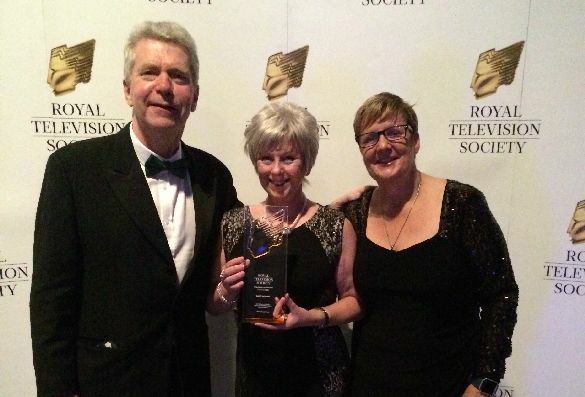 ‘Body Donors’, the Channel Five series featuring staff and students at the University of Liverpool’s Human Anatomy Resource Centre (HARC), has won Best Factual Series at the Royal Television Society Awards. Working with Daisybeck Studios, the team created a documentary series that, for the first time, depicted the experience of body donation from the perspective of donors, anatomy students and surgeons. The two-year project allowed television cameras to follow the lives of two cancer patients, in life and after death, showing their experiences of terminal illness and the work of staff and students at the HARC, who use the donated bodies for learning and research. The HARC is home to 16 staff members and more than 1,000 students, with bequeathal requests of up to 900. The day after the first episode of the series aired in October, the bequeathal’s office had more than 70 calls from people interested in learning more about body donation. The awards take place on the 24 June 2016. Read Professor Gallagher’s blog about body donation here. Well done and great news. Hard work and dedication pays off for a lovely team. Well deserved. I have just noticed that ‘Body Donors’ won the Royal Television Society Award. Testament to the team ethos within the HARC and all your hard work.